The scene of the accident where the motorcycle collided with a car at Mile 6, Tuaran Bypass. 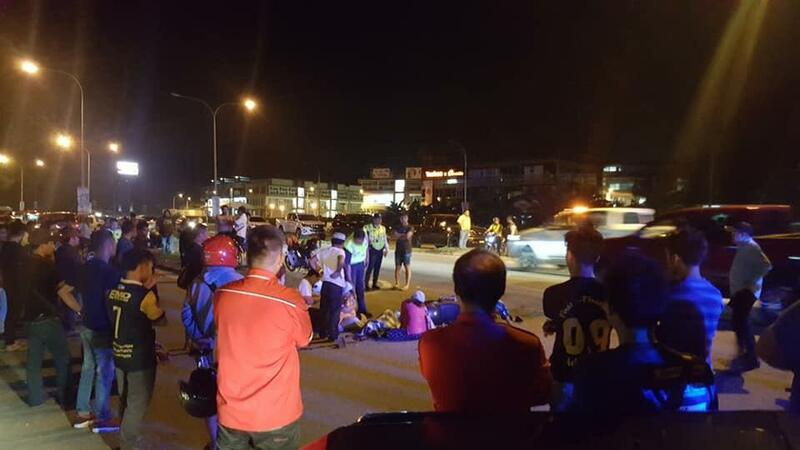 KOTA KINABALU: A motorcyclist was killed after colliding with a Perodua Axia at Mile 6, Tuaran Bypass, here on Thursday night. The victim, Baharudin Bin Madzukil, 33, died at the scene in the 10.30pm incident on Jan 10. City police chief ACP Habibi Majinji said initial police investigation revealed the victim was coming out from a junction when the motorcycle knocked the Perodua Axia car that was on its way to Kota Kinabalu from Tuaran. The victim was thrown a couple of metres from the scene and succumbed to severe head and body injuries. The victim’s body was taken to the Queen Elizabeth Hospital for a post-mortem. The woman driver of the Perodua Axia, in her 50s, only sustained a minor injury and has been remanded to assist police investigation under Section 41(1) of the Road Transport Act 1987.